It always surprises me when driving west how quickly the landscape starts to look “Australian”. 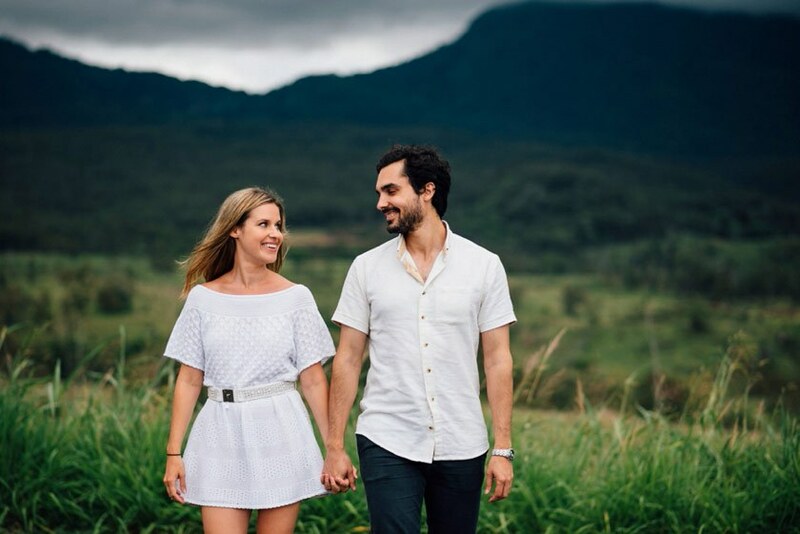 Wide fields of long brown grass, spotted with gum trees and old farm houses are not the usual domain of a Brisbane wedding photographer. You only need to drive 30-40 minutes before the country really begins to change. Travel a little further and you’ll start to climb the range that runs all the way up the east coast of Australia. I love exploring the national parks in this area and when I do I’m always on the lookout for stunning locations, ready for when I meet a couple up for the challenge! Enter Miranda & Adam. 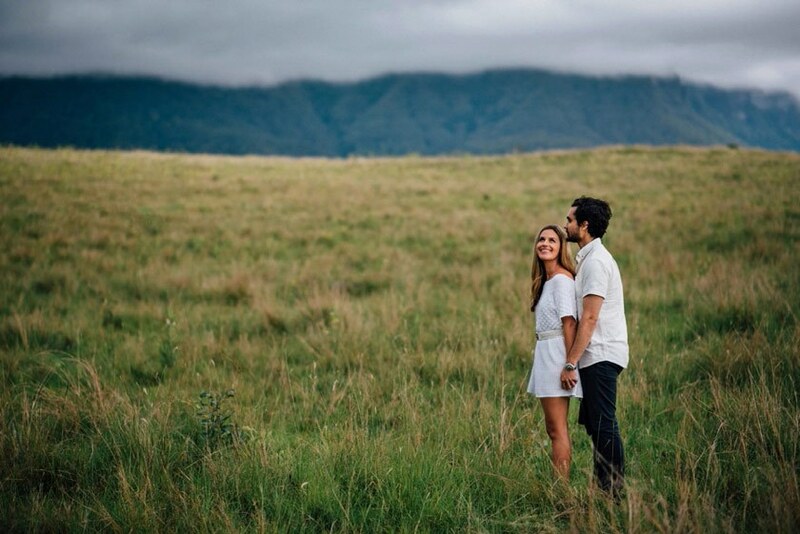 We started their engagement session in New Farm Brisbane, spending a bit of time in some places special to them. Then we headed out west in search open fields and mountain ranges. We found some. These two love to celebrate and have a laugh so it was more than fitting that they decided a bottle of champagne was the only prop they needed for the shoot (is it still a prop if you actually drink it?). If your not really sure what to expect from your wedding photography, or not sure how you will feel in front of the camera, an engagement is a really fun way to have a practice. 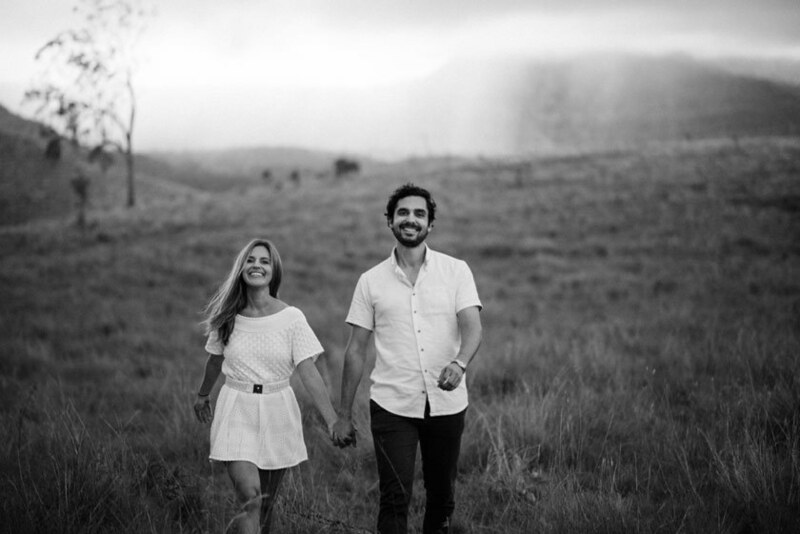 You get to know your photographer and have fun without the time-pressures of a wedding day. Plus you will get some awesome photos out of it!